Now that medical and recreational marijuana is making its way into mainstream society, there’s no denying an uptick in the creation of cannabis industry jobs. Not only are dispensaries popping up left and right on every other corner, but along with that comes a ripe job market. To help provide a better understanding of the various types of industry careers, we’ve created a top 10 list of jobs to consider. According to a recent study, nearly 230,000 jobs have been created thanks to the cannabis industry. And with growth anticipated to explode in the next few years, there’s no chance of slowing down. That’s why it’s a great idea to check out these 10 awesome job opportunities below. If you’re tired of your office job, then you might want to consider going green for your job search. Look for job openings via a cannabis recruiter or go it on your own, here are 10 hot jobs in the cannabis industry to consider now. The industry wouldn’t exist without professionals who are experienced in growing marijuana plants. And the larger the crops, the higher salary grower makes. Common education and/or backgrounds are botanists and horticulturists. Because of the regulation aspect, master growers are required to regularly interact with law enforcement. Compliance inspector visits are also a regular occurrence. This is potentially the highest paying of all cannabis industry jobs. Biochemists and engineers, take note. If you’re interested in a lucrative and high paying gig in the marijuana industry, a master extractor is the job for you. Because of the strict adherence to safety standards, precision with the extraction of the cannabis plants is key. Master extractors have the potential to make a great living but it’s hard work. And the responsibilities are so vital to the job. This job opportunity can be either in the public or private sector. As a quality control inspector, individuals in this realm are required to maintain safety and quality standards to ensure regulatory compliance. Scientists with PhDs in the fields of botany, chemistry, and biology are ideal candidates for this type of job. This is the ideal job for someone with a background in the culinary arts. Because of the nature of the job creating edible cannabis products, an edible maker will have a lot of creative leeways. However, standards must still be followed during the production phase. Among the common food items are cakes, cookies, brownies, candies, and beverages. The extraction technician has a very important job – to extract the marijuana oils and concentrates from the plants. Using high tech equipment, an extraction tech works in tandem with the master extractor. Ideal candidates would have a science background or degree. This is a great job for people who are team players but are also able to work independently. The role of the dispensary manager is similar to a retail manager and that’s why a person with a background in retail management is the ideal candidate. Not only do dispensary managers need to be familiar with retail sales operations but having a previous cannabis background is a plus. 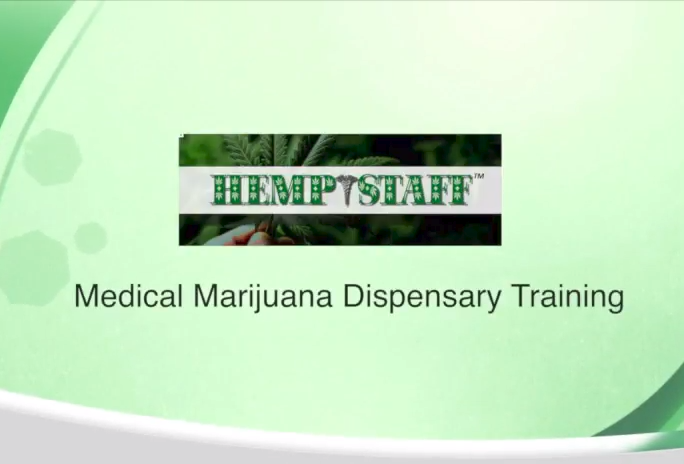 Store owners often seek a dispensary manager who also has dispensary work experience. We start to get into some jobs that you may not think about when considering cannabis industry jobs. In order for any company to thrive nowadays, there must be a strong web presence. Working as a web developer in the cannabis industry fulfills a much-needed industry role that helps boost sales and profitability. Because of the nature of the rapidly-expanding industry, an expert web developer or marketer is preferred. A web developer’s and marketer’s ability to build a dispensary’s website and market its brand is one of the last steps before the business plan is complete. A cultivation site worker is a valuable team member of the cannabis industry. Not only does this role require speed and efficiency, but it also requires that the individual helps growers care for the crops responsibility. A physically demanding job, harvesters, or trimmers and cultivators, a typically an entry-level position. A person with a landscaping/gardening/greenhouse background would thrive in this role. Although marijuana has made strides with its legalization, dispensaries and cultivation centers are still targets for robberies. Hiring a security guard is a sound investment and a safe way to protect both your customers and your product. Because most dispensaries are cash only, they are dealing with an excessive amount of cash on a daily basis. Possession of a licensed firearm is necessary. Law enforcement backgrounds are ideal for someone who would like to work as a security guard in the medical marijuana industry. Possibly the most popular of the cannabis industry jobs. 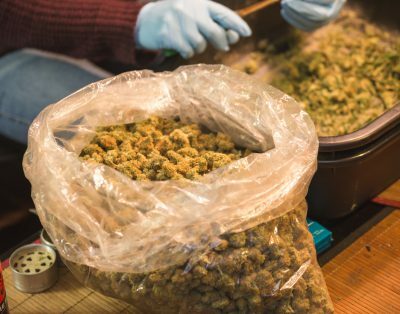 Customer service is the name of the game when it comes to the role of the budtender. Not only does a budtender answer a variety of cannabis questions and concerns, but they also have the ability to provide recommendations based on a dispensary customer’s needs. In a way, a budtender is similar to a bartender in that they are easy to talk to and are able to suggest a variety of products. Ready to Start Your New Job in the Cannabis Industry? We hope our guide to the top 10 cannabis industry jobs was helpful to you on your journey to a new career. For more great job searching tips, make sure to visit our site and let us know how we can help you land the job of your green dreams!